A whole house ventilation system ensures fresh filtered air, good health and a sense of well-being. This is vital when you consider we spend 70% of our time indoors. The past decade has seen a huge emphasis on increasing the thermal efficiency of home building and we now have draught free, well-insulated homes. However, with this comes an increasing number of respiratory problems related to poor air quality. The most effective way to combat this is a balanced mechanical ventilation of the building; meaning as much freshly filtered air is fed into the living rooms as stale air is extracted from the kitchen and bathrooms. 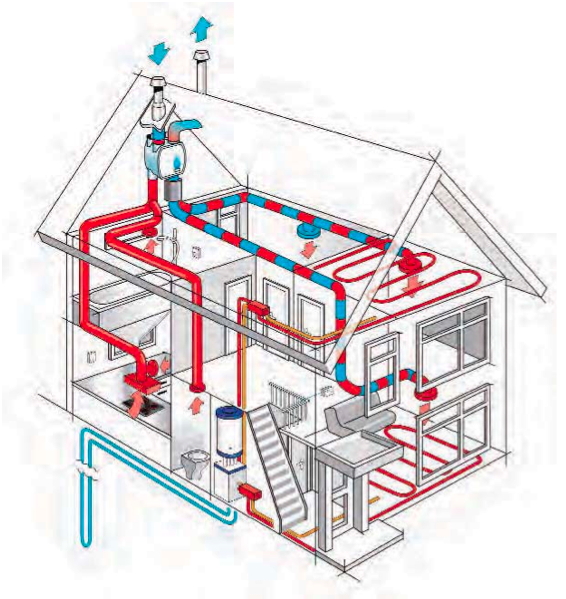 A ventilation system for an entire house with heat recovery is not a heating system or an alternative to a heating system. It simply recovers the energy provided by any heating system, which would ordinarily be lost through traditional ventilation systems. 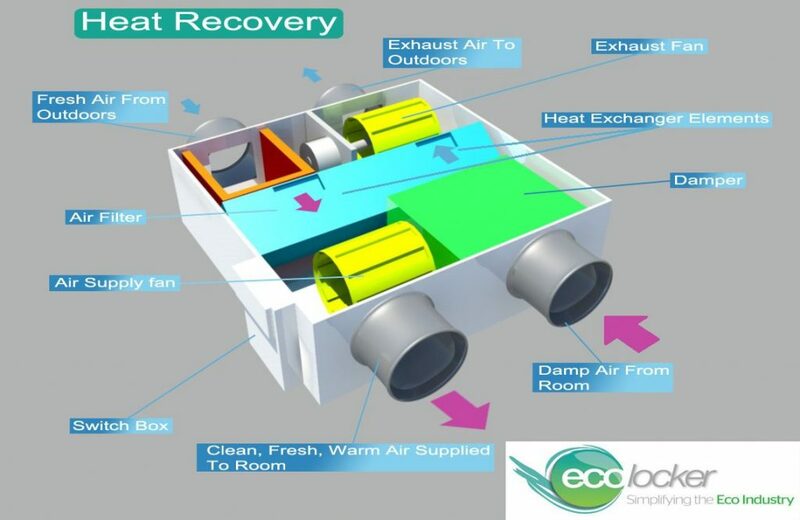 The heat recovery ventilation system we supply and install eliminates the need for traditional and energy inefficient wall vents. It works by extracting stale moist air from a home’s wet areas (kitchen, toilet, shower room, utility room etc.) and brining it through a couterflow heat exchanger, which warms as the air passes over it and then discharges the waster air to the atmosphere. 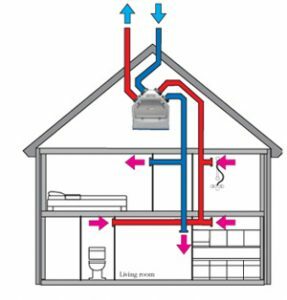 At the same time, fresh cool air from outside is brought into the counterflow where it gets warmed and then distributed (via ducting) to the home’s occupied rooms (bedrooms, living room, study, lounge etc.). 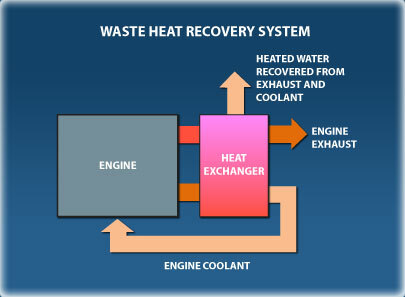 The result is continuous ventilation with minimum heat loss.